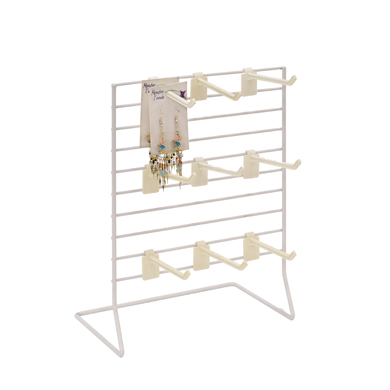 This Peg Hook display can merchandise a variety of peg pack or hangable items. Great as an impulse display to put on the counter. 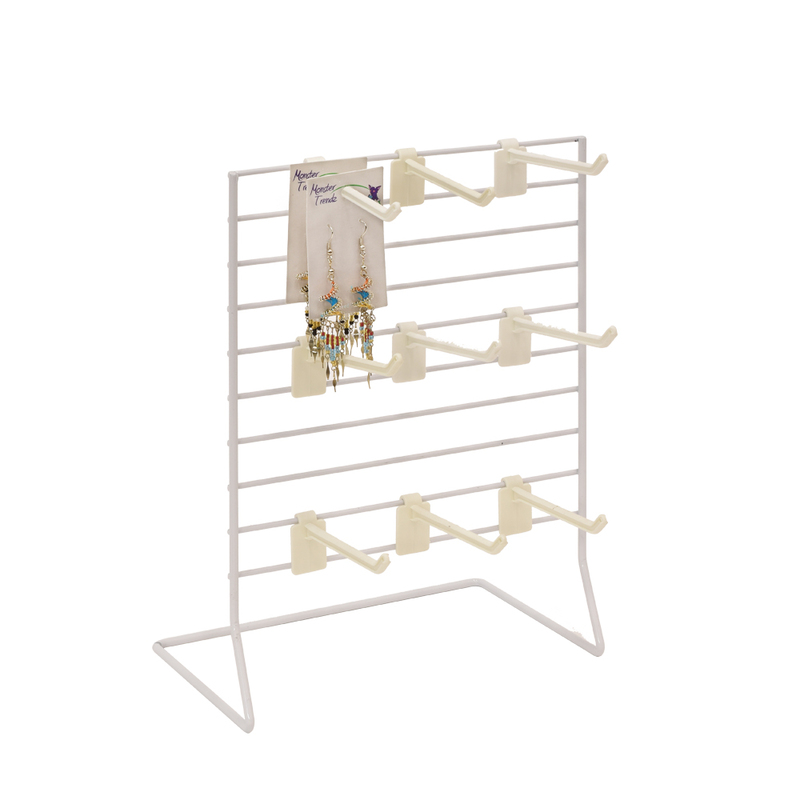 The Peg display uses 4 inch movable plastic hooks (#3362). It can display gift cards, candy, etc. Add a sign holder to get your customers attention, see item #6975.